I’m going to be spending the morning editing all references to the lovely Weird Lies on the website to AWARD WINNING Weird Lies, because, ladies, gentleman and aliens… WE WON!! 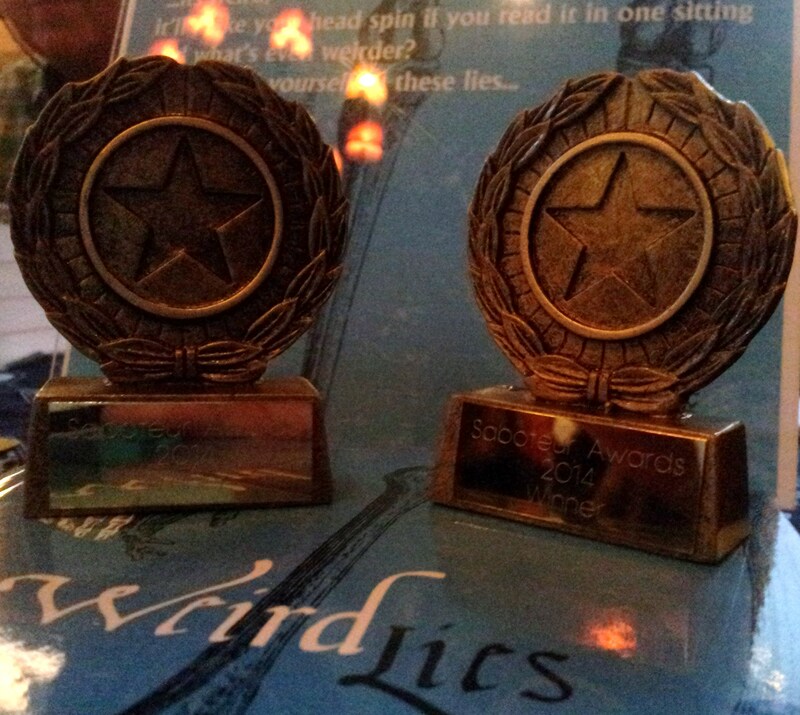 Our award, and the one won by our dear friends Liars’ League snuggle up for a proud photo. 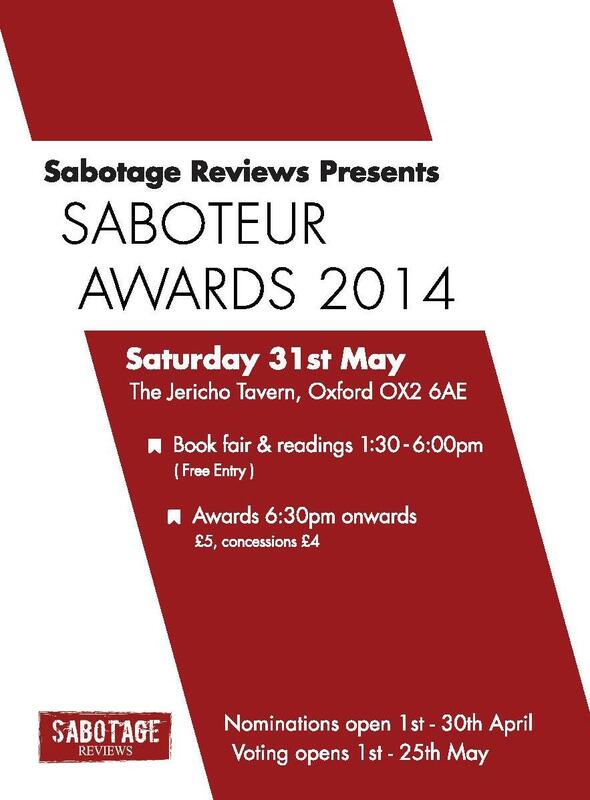 A Big thank you to Sabotage Reviews for their brilliant organisation and for their reviews, and for putting on the awards in the first place. So what does it all mean, apart from the warm glow and the little star thingy and the aforementioned editing of the website? It means that a lot of people like what we do – the award is by public vote (THANK YOU everyone who nominated and voted for us, you are lovely, lovely people). It might mean it’s easier to get books into bookshops, and sold – you might think that creativity is its own reward, but we all need to eat. It was an excellent event, which kept the energy going all afternoon and all evening, with live readings from all sorts of poets and authors, including London Lies author and Oxford local, Emily Cleaver. A BIG thank you to everyone I forgot to thank last night, I hadn’t written a speech, so it was very off the cuff. And a very big thank you to all the writers, in AWARD WINNING Weird Lies and all the other books, you are all brilliant. And an especially big thank you to Alix, who turns out for almost every live event and does front-of-house so brilliantly. For someone who said she didn’t want to be involved, she does an epic amount, and it wouldn’t happen without her. This entry was posted in award ceremony, Award Winning, awards, Events and tagged Award Winning, best anthology, Devilskein & Dearlove, Emily Cleaver, Liars' League, London Lies, Lovers' Lies, Misty Moon Gallery, Sabotage Award, Saboteur2014, Weird Lies by Cherry Potts. Bookmark the permalink. Thanks, it was a while back now, but we are very proud of it!